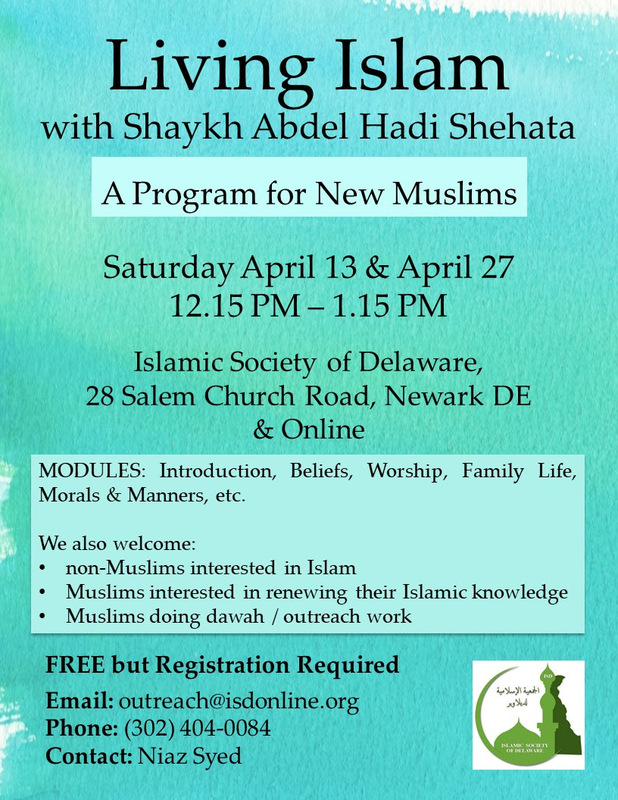 The classes for the "Living Islam with Shaykh Abdel Hadi Shehata" Program will resume in April with a biweekly cadence, insha Allah. Living Islam classes are for New Muslims, non-Muslims interested in learning about Islam from a scholar, Muslims engaged in dawah/outreach work and Muslims wishing to refresh their knowledge about Islamic beliefs and practices. For April, the dates are Saturday 13th and 27th and the classes will be conducted at ISD and online from 12.15 PM - 1.15 PM.